Rt. 613 (Washington County) - Poor Valley Rd - from Poor Valley Rd; Rt. 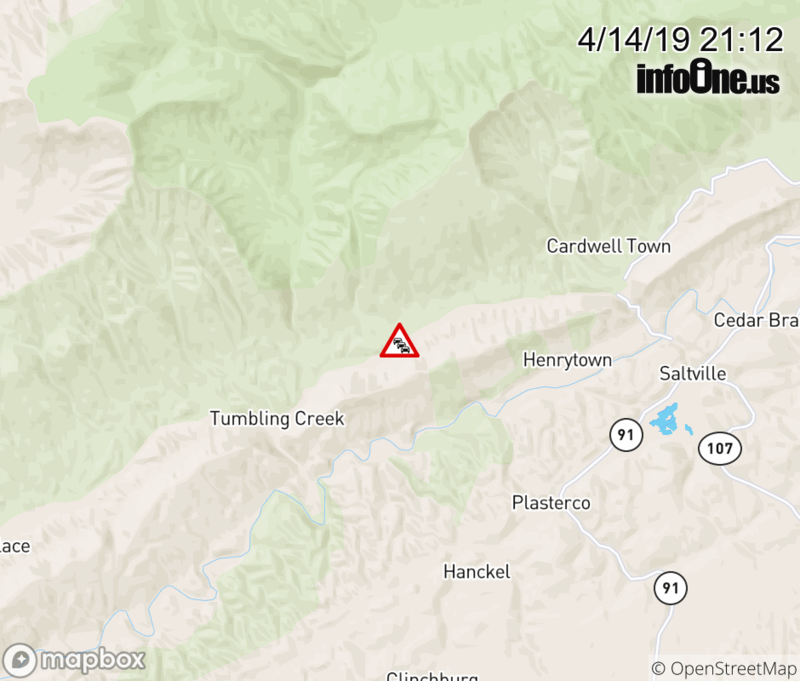 613E/W (Smyth County); County/City/Town Line: WASHINGTON - SMYTH COUNTY LINE to Tumbling Creek Rd; Rt. 747N/S (Washington County) - closed due to tree down.